2019 has arrived and millions of people will be making their New Year’s resolutions. Most common among these promises we make ourselves are: To lose weight, to get into shape, to save money, to quit smoking…the list goes on. Indeed, the beginning of a new calendar year is a great time to start with fresh intentions, and you might even be inspired to make a resolution or two concerning your business. But here’s a suggestion: Avoid making resolutions. Set goals instead. What’s Wrong with New Year’s Resolutions? There’s nothing inherently bad about making a New Year’s resolution—and yet, if we’re honest with ourselves, most of us view resolutions with a negative connotation. Why? Because the vast majority of us fail to keep them—year after year. In fact, 80 percent of the resolutions made this week will not make it to mid-February, and fewer than 10 percent of us will come to the end of the year feeling we were successful with our resolution. Why are these numbers so dismal? Simple: A resolution is more of a wish than a goal. It’s an empty promise, something we wish to happen without any game plan for making it happen. When it fails, it becomes one more broken promise—and, quite often, one more blow to our self-esteem. This is why we recommend replacing resolution-making with goal setting. Instead of merely expressing a vague intention with no traction, set a practical goal, then develop a strategy to reach it. You don’t have to stop at one goal, either: Consider setting a number of goals for yourself and your business this year. This practice offers a greater sense of purpose for the year, not to mention a much higher rate of success. Granted, a goal for its own sake doesn’t contain any magic. It won’t come to pass without some effort on your part. Thus, one of the keys of successful goal setting is to set goals you are actually motivated to achieve. Let’s look at a few practical tips for setting goals with a higher success rate. Set goals that are ambitious but not impossible. There’s a happy middle ground between goals that are too small and ones that are too large. If you set goals that don’t really challenge you (i.e., “baby steps”), you might reach them, but you’ll feel no sense of growth, because they took no effort. If, on the other hand, you set a goal so lofty that it’s impossible to reach, you’ll probably lose your motivation by February—just like a resolution. Try to aim for a target somewhere between these two extremes. Set a goal that stretches you without utterly discouraging you. Set up milestones to help you reach your goal. How do you reach an ambitious goal? You break it down into smaller, more achievable pieces. We can refer to these as milestones—markers along the way that help you stay on track through the year. If you set a goal to double your revenue this year, how much additional revenue should you have by April or by July? If your goal is to increase your client base by 50 percent, what marketing tools will you use to accomplish that goal? How much of that increase do you think will come from referrals? From email lists? From Google Advertising? Don’t just express intention; try to map out how you will get there. Replace bad habits with better ones. Bad habits are often obstacles to achieving goals, so here’s a secret to both personal and professional success: You don’t break a bad habit by willpower. You break it by replacing it with a better habit. The reason this is true is that willpower had nothing to do with how you developed the bad habit in the first place. Bad habits are caused by repetition, and good habits are established in exactly the same way. From a business standpoint, you won’t improve your productivity by simply willing it so. You must weed out the non-productive habits and replace them with better routines that become second nature with repetition. Every new year presents an opportunity for a fresh start—the chance to close one chapter and open a new one. Don’t waste the opportunity by making empty promises for yourself or your business that contain no mechanism for fulfillment. 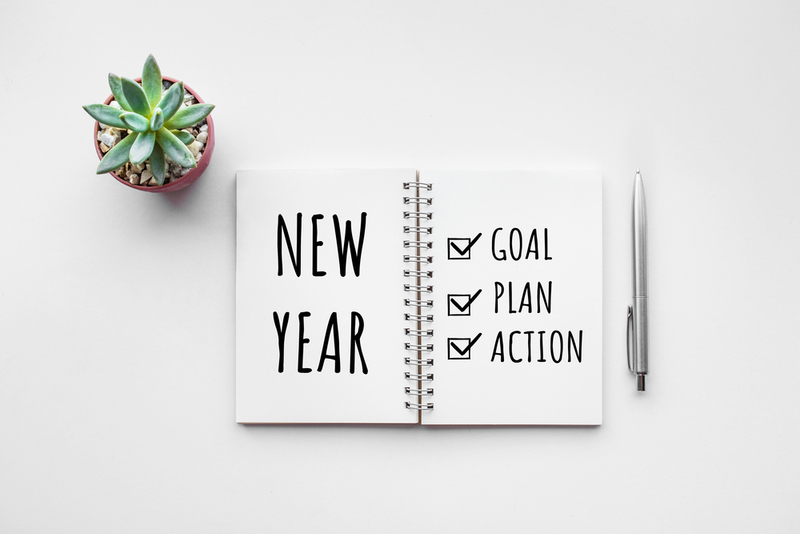 Make the most of this year by writing down some tangible, achievable goals, then purposefully focusing your energy toward reaching those goals. You may or may not reach them all, but even with what you achieve, you’re far more likely to look back on 2019 as a productive and prosperous year.